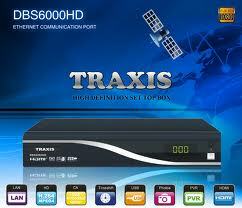 The newest FTA receiver from Traxis, now with HD and MPEG4 support! Earn 139 SATVantage Rewards points with this purchase! Traxis receivers have long been the standard in FTA and we now bring you the top of the line MPEG4 receiver with HD and PVR capability. From the moment you turn this receiver on you will realize that you have a quality piece of equipment.